A prime-time NBC series appears to be gaining momentum, with the network announcing Monday that the turnout for the Jan. 24 installment of “This Is Us” was the highest so far for the show in the key 18-49 demo, based on Nielsen Live+3 data. “The last three telecasts of ‘This Is Us’ are now the show’s top three episodes to date in L+3 18-49 rating (4.64 on Jan. 10, 4.60 on Jan. 17 and 4.72 on Jan. 24),” the network said. The comedic drama series premiered Sept. 20, and has already been picked up by NBC for three seasons, with 18-episode orders for each season. “Last week’s ‘This Is Us’ increased by +67% in 18-49 rating going from ‘live plus same day’ results to ‘live plus three day’ Npower Nielsen figures (2.83 to a record 4.72) and by more than +4.9 million viewers overall (9.6 million to 14.6 million),” NBC notes in its announcement. 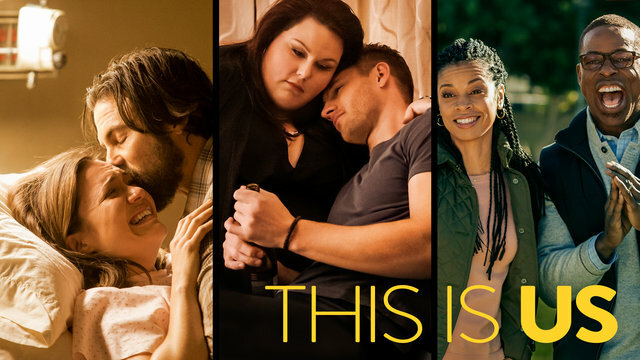 The network adds: “The last three weeks of ‘This Is Us’ are also now the three highest-rated Tuesday drama telecasts on the broadcast networks in L+3 18-49 rating in more than three years (since the second episode of ABC’s ‘Marvel’s Agents of S.H.I.E.L.D.’ averaged a 4.92 in L+3 on Oct. 1, 2013). Additionally, the last three ‘Us’ episodes rank as the three top Tuesday drama telecasts on NBC in more than eight years (since the April 15, 2008 episode of ‘Law & Order: SVU’ averaged a 5.05 in L+3).